At San Pedro Smiles, our team takes pride in providing patients with dental care that’s both refreshingly laid back and wonderfully modern. That’s why our menu of services features state-of-the-art treatment options and tools that you won’t find at just any practice in the San Antonio, TX area. These options help us improve the speed, accuracy, and comfort of your overall experience, leading to better, brighter teeth that exceed expectations. If you have any questions or would like to schedule a first appointment, contact us today! Do you regularly experience a lot of pain in your jaw and face? Is it difficult to fully open your mouth or chew food without a lingering sense of discomfort? 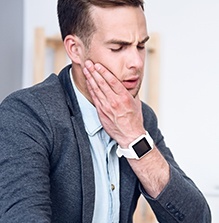 These are all tell-tale signs of TMJ disorder, a serious health condition that can interfere with your overall quality of life. Thankfully, Dr. Gonzalez offers effective therapy options that can reduce the strain on your smile in a lasting fashion, including an occlusal (bite) adjustment, occlusal mouthguards, and more. Soft tissue lasers are an excellent alternative to traditional scalpels, allowing us to treat gum tissue in amazing, minimally invasive ways. 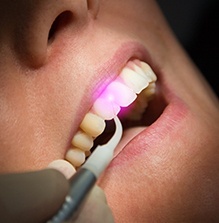 The precise wavelength can rid the mouth of infected areas while leaving healthy tissue much more intact, and the sterilizing quality of the laser actually reduces bleeding and can even encourage the growth of new tissue. 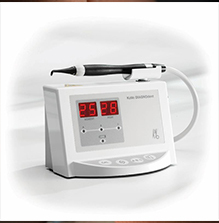 The entire process is so comfortable that many patients don’t even need local anesthetic. Over 90% of the population will experience a cavity at one point or another, and our team’s job here in San Antonio is to catch and treat them before they cause too much damage. That’s why we use DIAGNOdent, a revolutionary technology that is able to clearly identify small areas of tooth decay – even ones that aren’t actually visible to the human eye! It does this by creating wavelengths, starting with a baseline that represents healthy teeth, and this is used to scan your smile. Any significant variations to the original wavelength will be represented in the results, allowing us to find and take care of the problem right away. The last thing we want here at San Pedro Smiles is for our patients to feel overwhelmed and confused as our team gets to work on their oral health. That’s why we utilize intraoral cameras whenever possible to give you a special tour of your one-of-a-kind teeth! The camera is on the end of a wand that’s inserted past the lips so that it can capture high-resolution images. These images are then transferred to a monitor in the room so that Dr. Gonzalez can use it as a handy visual aid when discussing problems, potential treatment options, and more. Traditionally, X-rays were captured on film and had to be slowly developed in a darkroom. Doctors had to use hazardous chemicals, big storage systems, and potentially harmful radiation to get the results they needed for patients’ smiles. 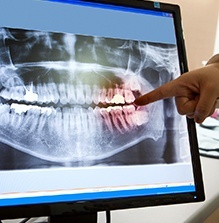 While this information is still crucial when it comes to providing comprehensive care, we have a much faster, safer, and more effective way to get it now using digital radiography! This technology captures extensively detailed X-rays in seconds with no tedious waiting or bulky files required. Plus, radiation exposure is significantly reduced by up to 90%!